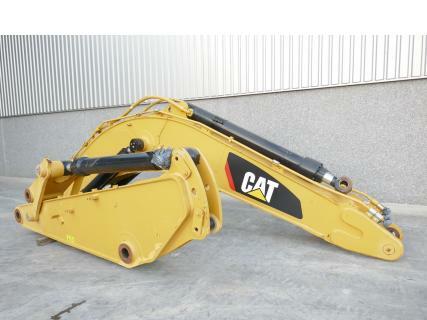 Unused boom set to fit Cat 345DL/349DL excavator, boom AR-MASS length 6.60 Mtr (21.6 FT), stick AR-HOE length 2.50 Mtr (8.2 FT), including hydraulic cylinders. Cat part number boom 235-7721, Cat part number stick 228-5447. Complete set including hydraulic pipes, hydraulic hoses and bucket linkage.